We offer water proofing of Concrete / civil structures with various systems. 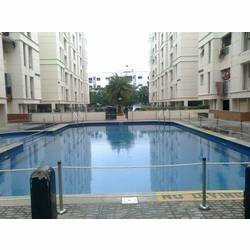 the areas include water proofing of Over head tanks / Under ground sumps / ETP tank / STP tanks / Terrace / Sun shades / Sunken slabs / rising water on walls / cold joints in concretes etc. These paints can be applied directly with a brush from the can, and give a permanently flexible surface which resists to a wide range of temperatures. Can be washed off with water itself when still wet, and no cleaning solvents are required. It can be used on wet surfaces too. Mechanical damages to the membrane can easily be repaired spot application. This makes the concrete surface breathable. With the help of our experienced team members, we have been able to manufacture and supply a wide range of Terrace Water Proofing With Elastomeric System . These are available in a single pack and the CT2 content in these products provides additional property of thermal insulation. Our products are extensively demanded owing to its optimum quality, high purity and high efficiency. We provide these products in various sized packaging as per the exact requirements of clients. Excellent ultra violet and bonding characteristics with 600 % elongation. To waterproof basements, retaining walls, parapet walls, sunken slabs, exterior walls, etc. We are ahead of our competitors in manufacturing and supplying a qualitative range of Water based Epoxy coating. These are high quality Water based Epoxy coatings with extremely low VOC. Processed under the firm direction of expert quality controllers, these coatings ensure maximum efficiency, fast drying and effective usage. Our products are very safe to use and offered at budget friendly rates. 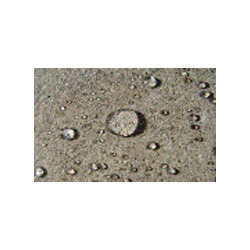 We specialize in manufacturing and supplying a wide range of Water Repellent Coating. These are formulated in accordance with international industrial standards and using best available technologies. 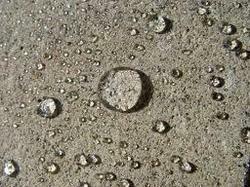 These coatings imparts water repellency to the porous surfaces – seals the pores and capillaries. 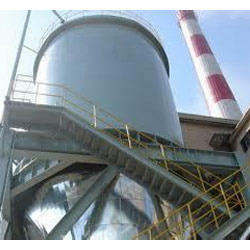 Besides, these coatings doesn’t change the finish and color of surface and ensure excellent finish. Looking for Water Proofing ?